Get out, get active, meet new people! Sports is not all we do! 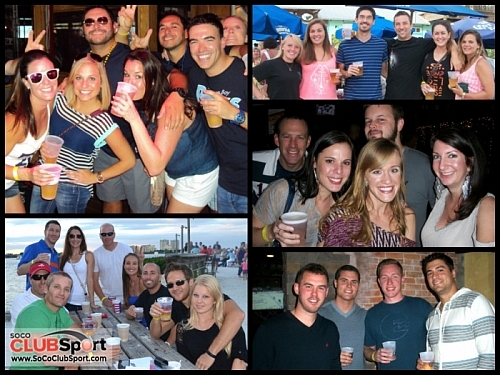 Check out our ongoing offerings of social events to get your out and active. You'll run into players from all Club Sport leagues and you never know what new friendships you'll make. Check back for all of our offerings! See all of our events, past photos and RSVP on Facebook too! Join us May 4th for an awesome Players Party! Are you a recent champ? YOUR BEER IS ON US! Come one, come all as we celebrate another great season at the Players Party! Coed tournament includes 3 games minimum (plus playoffs for qualifying teams), umpires, balls, prizes for winning teams, and after party with drink specials! This is part of Club Sport's Sunshine Tournament Series! This is a great chance to organize a tournament team and play at some new fields in an organized and fun environment. Play in one, or play in them all, teams will also earn points based on participation and order of finish to compete for a year end prize! It's time for the Soccer Six Florida Sun Til Moon Clash soccer tournament. 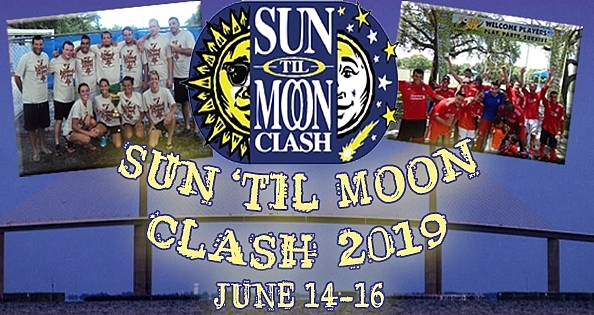 The 2019 Sun Til Moon Clash takes place at Lakewood Soccer complex in St. Petersburg, Florida. Play, Party, and Survive in typical Soccer Six fashion. Divisions: Coed A, Coed B, Coed 30+, Men’s A, Men’s B, Women’s A, Women’s B, Men’s 30+ A, Men’s 30+B, Men’s 40+. Club Sport is active in promoting charity and non-profit events & causes throughout the bay area.